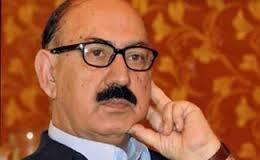 Literary Heritage Irfan Siddiqui Wednesday felicitated the newly elected body of Pakistan Broadcasters Association (PBA). Mian Amir Mehmood, Senior Vice Chairman Duraid Qureshi, Vice Chairman Mir Ibrahim Rehman, Secretary General Shakeel Masood Hussain and other office bearers of PBA. unanimous code of conduct for electronic media. government to devise the code of conduct, describing it a ‘model’ of complete unanimity of all stakeholders.